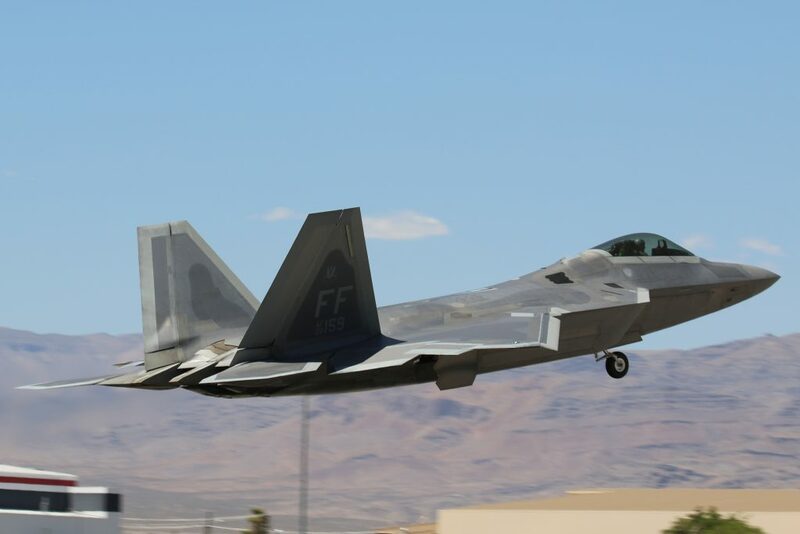 F-22 Raptor 08-4157 from the 27FS ‘Fightin Eagles’ based on Langley AFB, Virginia captured during take off for Red Flag 16-3 in July 2016 on Nellis AFB Nevada. 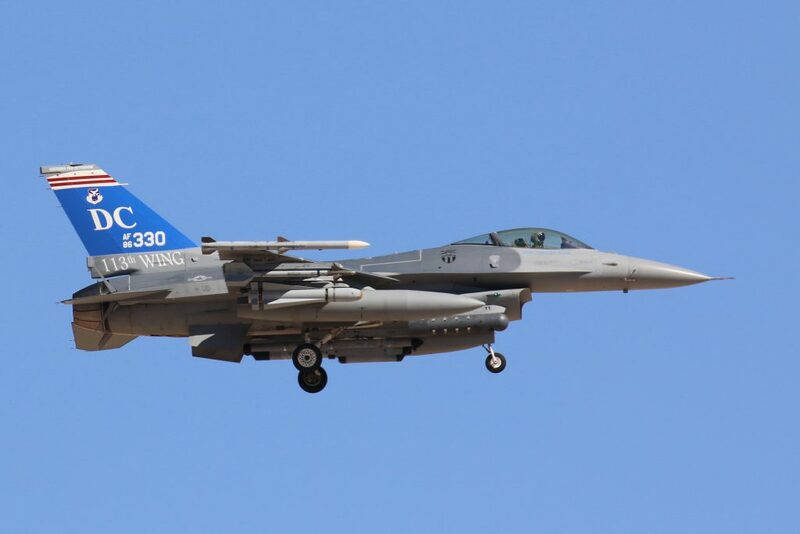 F-16C Falcon 86-0366 from the 119FS ‘Jersey Devils’ based on Atlantic City ANGB New Jersey, captured during take off for Red Flag 16-3 in July 2016 on Nellis AFB Nevada. 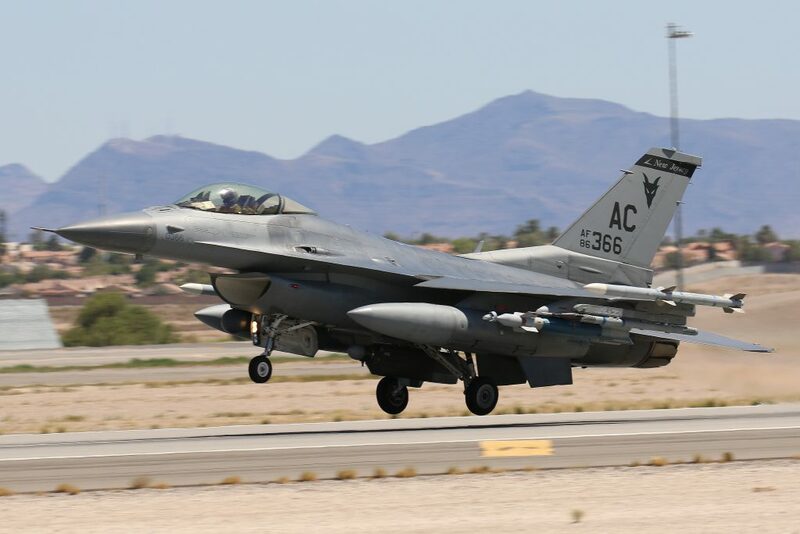 F-16C Falcon 83-0159 from the 64AGRS based on Nellis AFB Nevada captured during take off for Red Flag 16-3 in July 2016 on Nellis AFB Nevada. 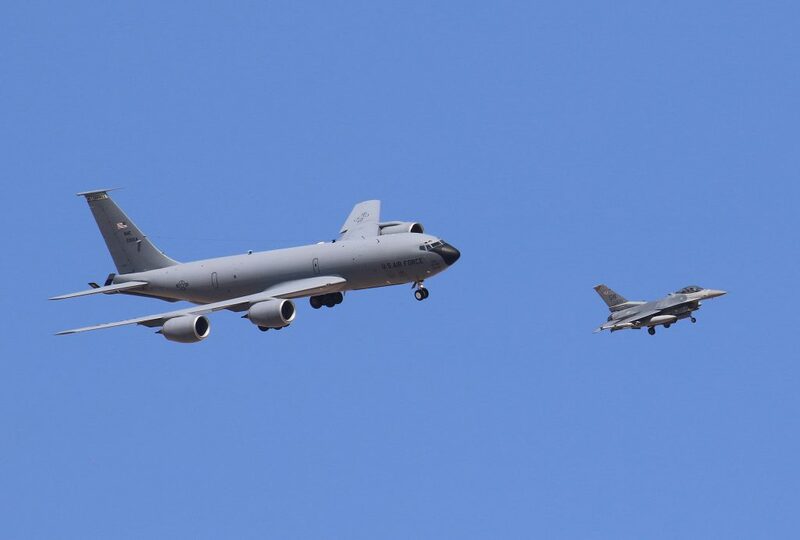 KC-135R 62-3554 from 22 ARW based on Mc Connel AFB and F-16C 90-0830 from 79FS based on Shaw AFB captured during landing for Red Flag 16-3 in July 2016 on Nellis AFB Nevada. 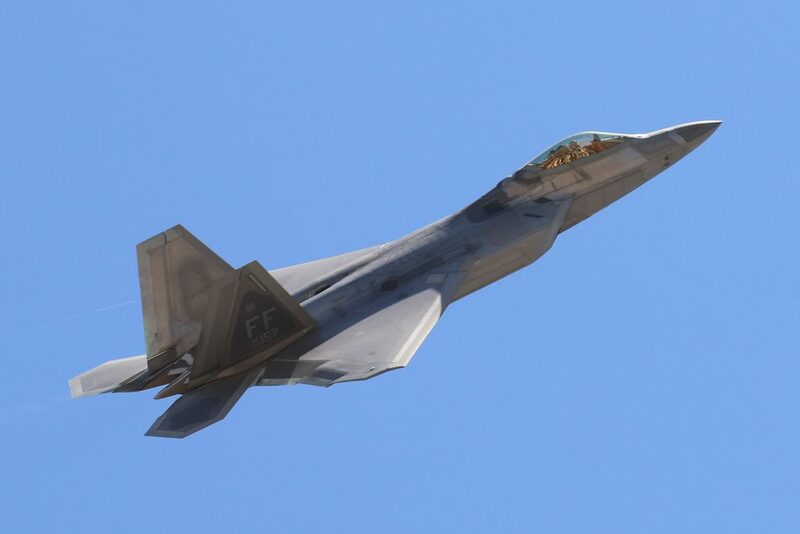 F-22 Raptor 08-4159 from the 27FS ‘Fightin Eagles’ based on Langley AFB, Virginia captured during take off for Red Flag 16-3 in July 2016 on Nellis AFB Nevada. 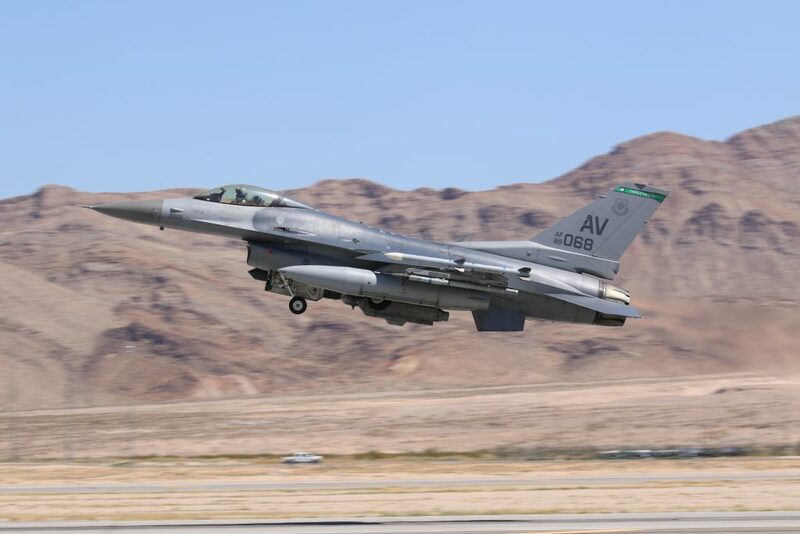 F-16C Falcon 89-0068 from the 555FS ‘Triple Nickle’ based on Aviano AFB, Italy captured during take off for Red Flag 16-3 in July 2016 on Nellis AFB Nevada. 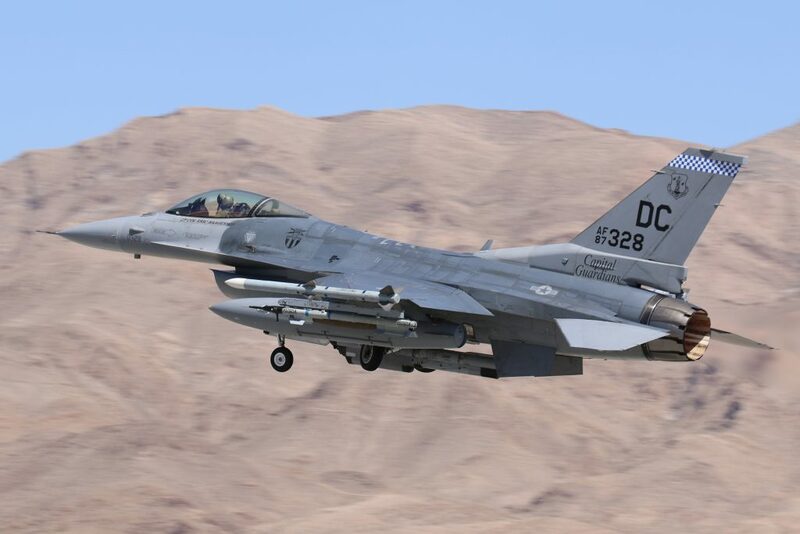 F-16C Falcon 86-0330 from the 121FS ‘Fightin Capital Guardians’ based on Andrews ANGB, DC captured during take off for Red Flag 16-3 in July 2016 on Nellis AFB Nevada. 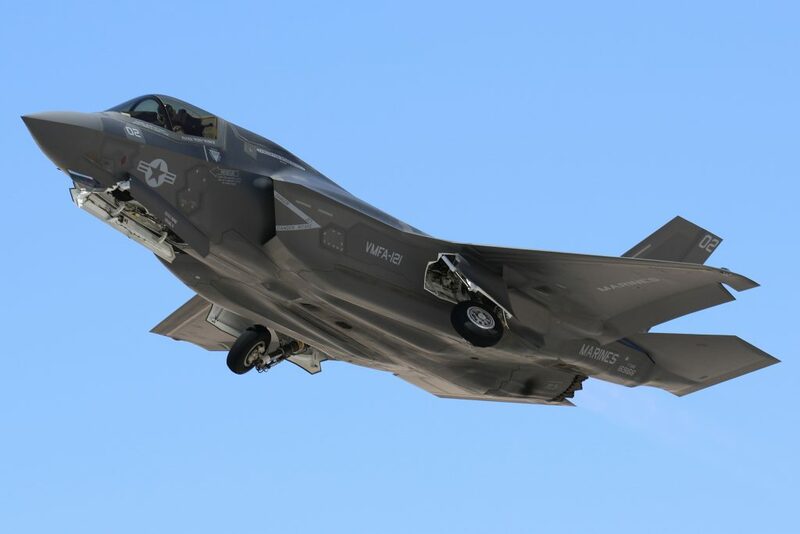 F-35 Lightning 169166 from VMFA-121 ‘Green Knights’ based on MCAS Yuma, Arizona captured during take off for Red Flag 16-3 in July 2016 on Nellis AFB Nevada. 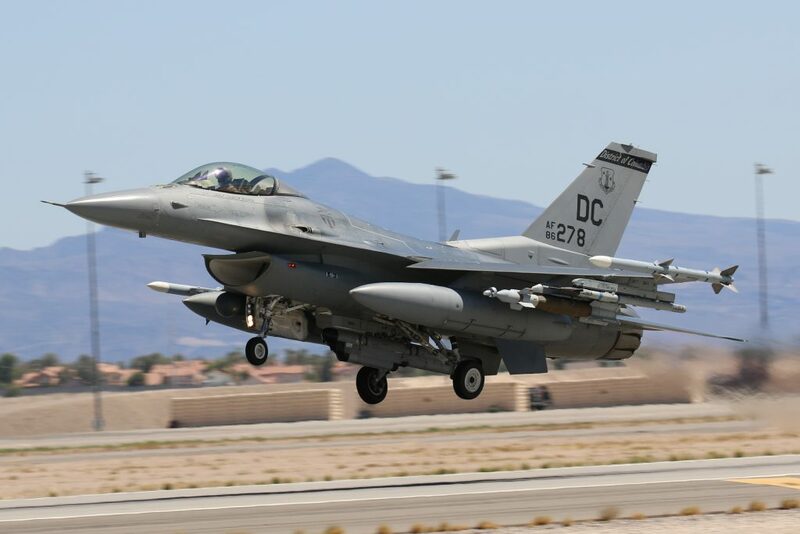 F-16C Falcon 87-0328 from the 121FS ‘Fightin Capital Guardians’ based on Andrews ANGB, DC captured during take off for Red Flag 16-3 in July 2016 on Nellis AFB Nevada. 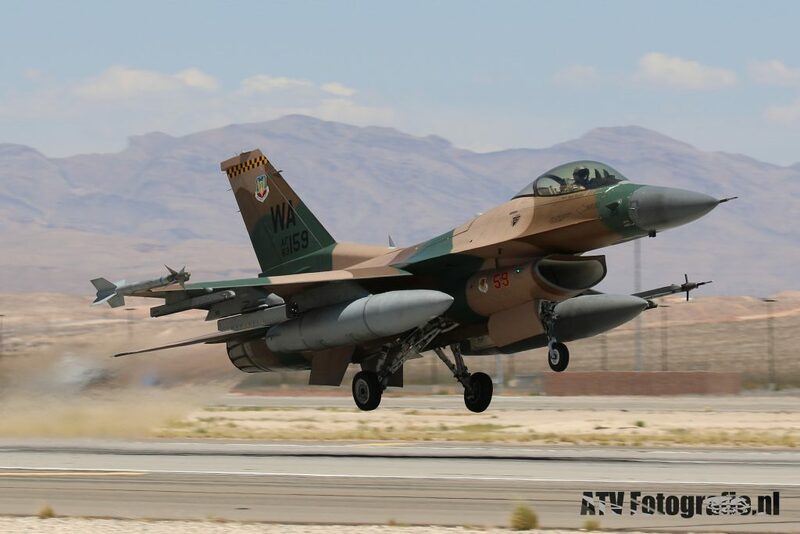 F-16C Falcon 84-0236 from the 64AGRS based on Nellis AFB Nevada captured during take off for Red Flag 16-3 in July 2016 on Nellis AFB Nevada. 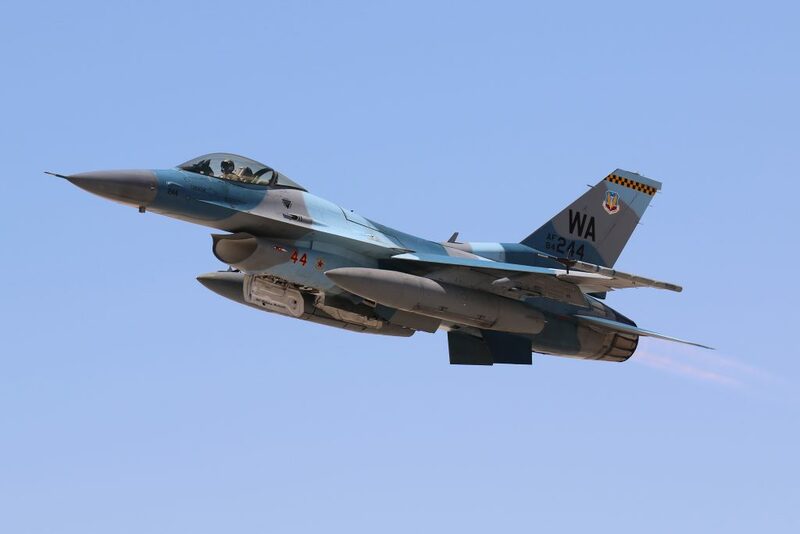 F-16C Falcon 86-0278 from the 121FS ‘Fightin Capital Guardians’ based on Andrews ANGB, DC captured during take off for Red Flag 16-3 in July 2016 on Nellis AFB Nevada. 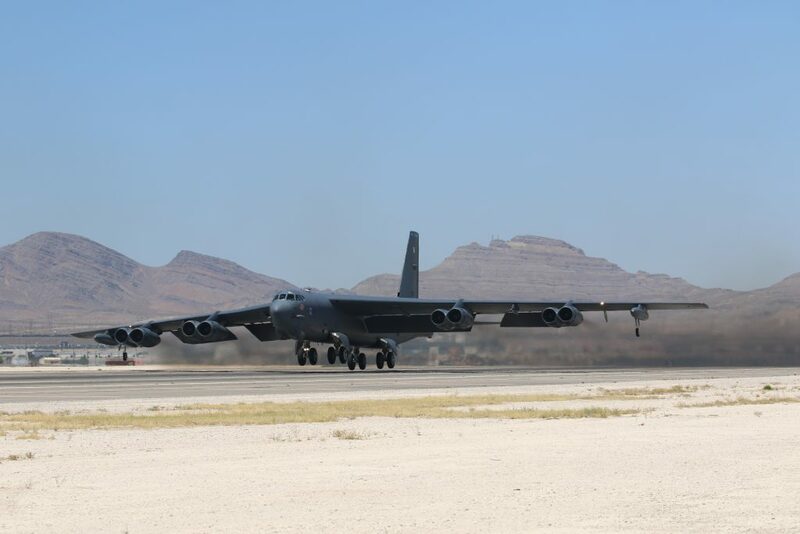 B-52H Stratofortress 60-0013 from the 20BS ‘Buccaneers’ based on Barksdale AFB, Louisiana captured during take off for Red Flag 16-3 in July 2016 on Nellis AFB Nevada. 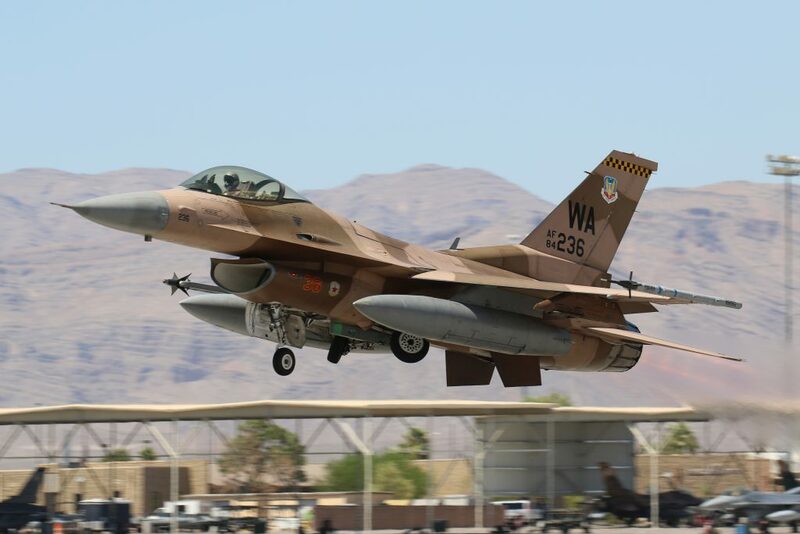 F-16C Falcon 84-0244 from the 64AGRS based on Nellis AFB Nevada captured during take off for Red Flag 16-3 in July 2016 on Nellis AFB Nevada. 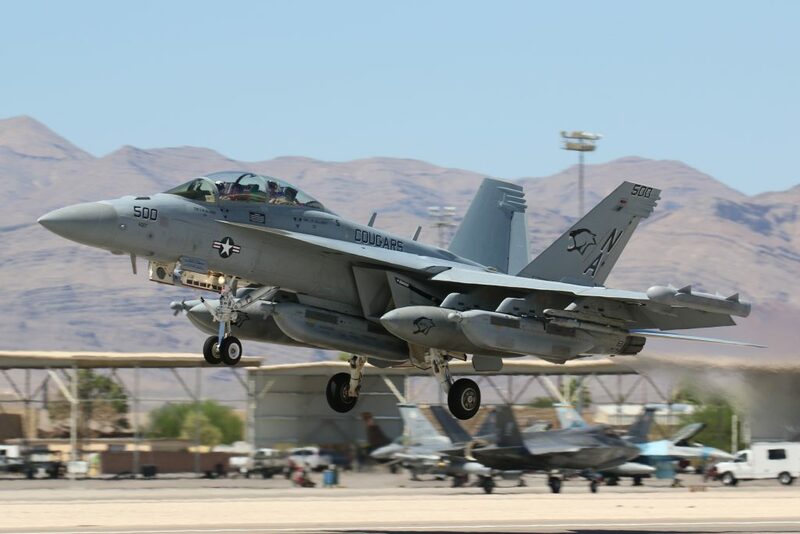 EF-18G Growler 166895 from VAQ-209 ‘Cougars’ based on NAS Whidbey Island, Washington captured during take off for Red Flag 16-3 in July 2016 on Nellis AFB Nevada. 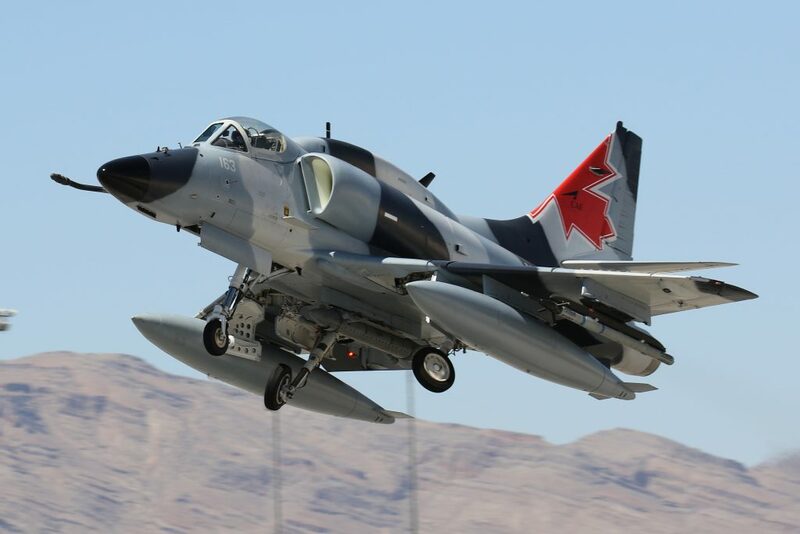 A-4 Draken N163EM in Artic Canada Camouflage captured during take off for Red Flag 16-3 in July 2016 on Nellis AFB Nevada.